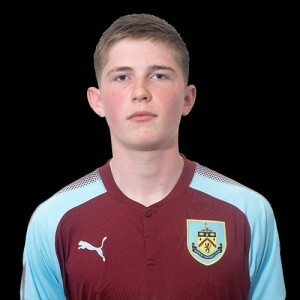 Burnley have been beaten 5-2 this afternoon by Sheffield United in the U18 Professional Development League. A number of the players were rested due to their heavy schedule in the next few weeks with the under-23s but we took the goal when Will Harris (pictured) scored with a good left foot finish from outside the box. It was 1-1 at half time though with the Blades equalising on the break. The game could so easily have gone Burnley’s way. Harris twice hit the post at 1-1 before the home side went in front. Craig Ellison missed a good chance in the six yard box to draw us level but within minutes we’d conceded another two goals to go 4-1 behind. Dylon Meredith pulled one back following a free kick whilst Mitchell George was very close to making it 4-2, but it was United who scored the next and last goal to win the game 5-2.